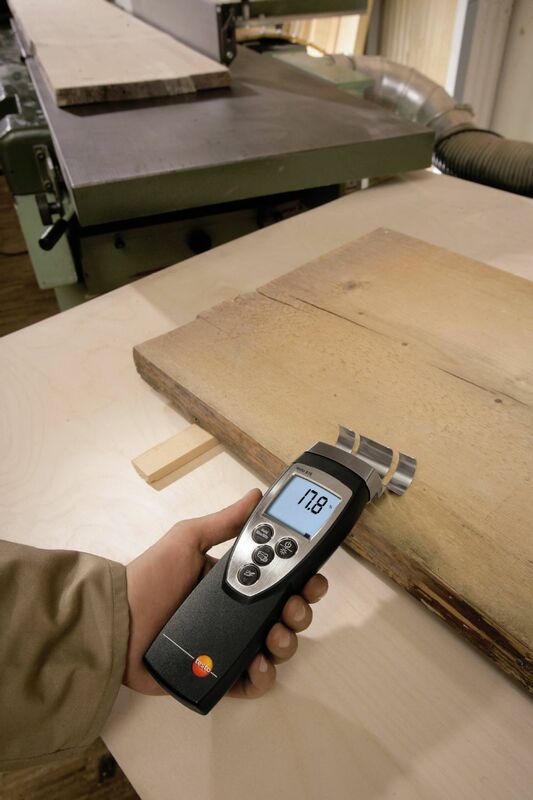 The testo 616 professional moisture meter provides you with a precise and non-destructive means of measuring the moisture content of wood and building materials and of monitoring the drying process after water damage. Simply select the characteristic curve and place the meter’s measuring claw against the surface of the material you would like to measure. 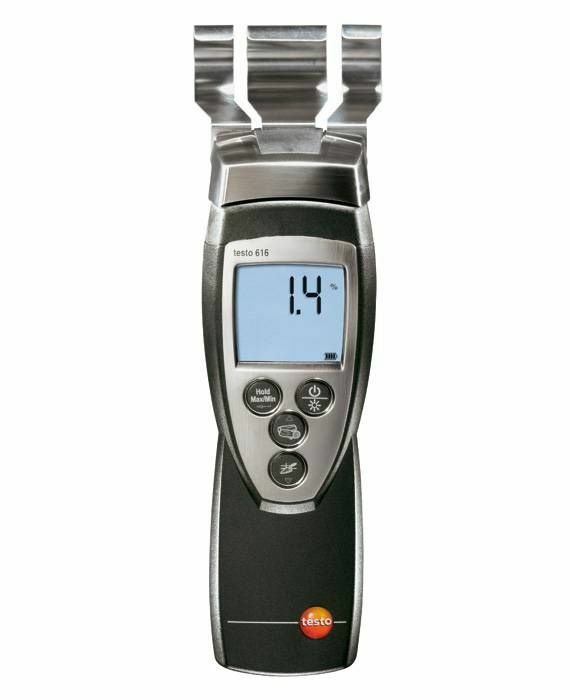 The meter shows you the moisture content as a weight percentage compared to the dry weight. Press the relevant key to save the reading to your meter. Although the measuring claw only comes into contact with the surface, wall or flooring that is being measured, it is able to determine the moisture content of the wood or other material down to a depth of 5 cm.